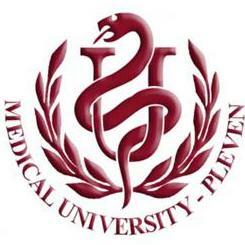 The Faculty of Public Health is one of the four faculties at the Medical University of Pleven. Тhe mission of the Faculty is to contribute to improving public health through integrated multidisciplinary training of professionals in public health prevention and control, health promotion and health management; to conduct profound research of current public health problems, and applying the research findings for effective public health policy; to provide consultations and expert services to local, regional and national health institutions. Officially, 2nd September 2004 is the birthday of the Faculty of Public Health, when, by the Act of the Bulgarian Parliament, the Higher Medical Institute of Pleven, founded in 1974, has been transformed in Medical University with two faculties - Faculty of Medicine and Faculty of Public Health (FPH). But, in fact, the development of specialties and educational programmes that set up the grounds of the Faculty of Public Health, dates back to 1996 when the first part-time Bachelor programme in “Management of Health Care” for nurses, midwifes, and other medical colleges’ graduates was introduced. It was realised within the PHARE project, led by Dr Bernard Dizier, with experts from France and Belgium. In December 1998 the first 50 Bachelors in “Management of Health Care” graduated. - Since Octobre 2012 distant learning Master programme in “Public Health and Health Management” was established. In 2016 all educational programmes got very high accreditation ratings by the National Agency for Evaluation and Accreditation for the next period of 6 years. The First General Assembly of the FPH and the election of the Governing Bodies – the Faculty Council and the Dean – took place on 12th May 2005. Associate Professor, Dr. Gena Grancharova was the first Dean, and she completed two successful mandates (2005-2013). Since 2013 the Dean of the FPH is Professor, Dr. Silviya Aleksandrova-Yankulovska, MD, PhD, DSc, a specialist in Public Health and European Master in Bioethics. - Department of Physical Medicine, Rehabilitation, Occupational Therapy and Sports. The academic staff of the FPH includes 70 highly qualified specialists: 1 DSc, 33 PhDs, 3 professors, 29 associate professors, 38 assistant professors. The departments of the FPH have been accredited for 6 doctoral programmes: social medicine and health care organization, infectious diseases, epidemiology, parasitology, psychiatry and medical psychology, and management of health care. The scientific research and activities cover broad areas of Public Health according to the organizational structure. The FPH has very good international relations and reputation. It is a member of ASPHER (2006), FPH-SEE (2008), EHMA (2011), IHF (2014). Thirty-four staff members are individual members of EUPHA through the Bulgarian Public Health Association, registered in Pleven. The financial crisis and scarce institutional resources underpin the participation of academic staff members in international scientific events, but, nevertheless, since 2010 the FPH is regularly presented at the European conferences of Public Health thanks to the support of ASPHER and EUPHA governing bodies. Besides the membership in leading professional organizations, since its establishment the FPH has been visited by many distinguished international specialists in Public Health, Bioethics, Nursing, and Business Ethics, who participated in teaching, seminars, jubilee conferences (2010, 2015), days in Bioethics (2014-2017), etc. Among our good collaborators are Professor Ulrich Laaser, Professor John Kyriopoulos, Professor Vesna Bjegovic, Professor Henk ten Have, Professor Anders Foldspang, Dr. Els Maeckelberghe, and many others. Such relations provide good opportunity for students and academic staff to get new knowledge and to be aware of the leading global public health problems and perspectives. The FPH in Pleven is mobilised to be an active member of ASPHER and to contribute to development of highly qualified public health workforce in Bulgaria.